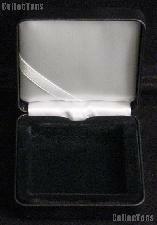 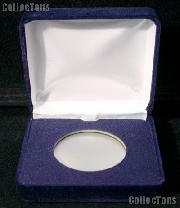 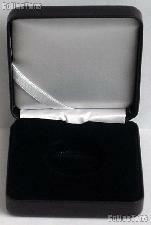 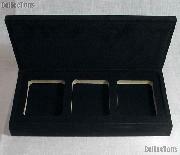 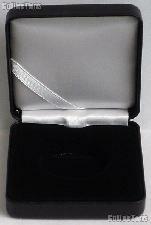 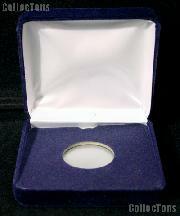 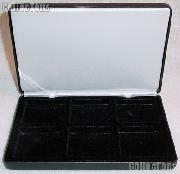 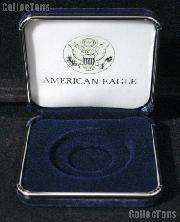 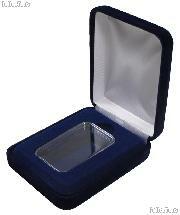 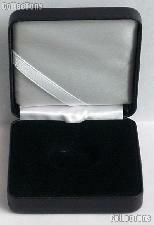 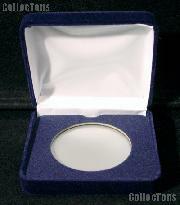 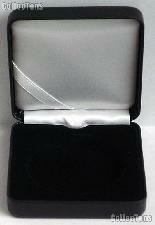 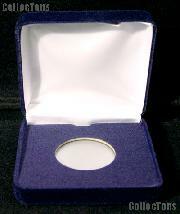 Our velvet lined boxes are flip-open cases, similar to jewelry boxes. 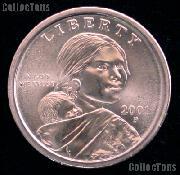 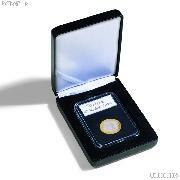 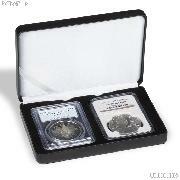 Each holds an individual coin or multiple coins directly, within an Air-Tite Capsule, a Lighthouse Capsule, a Certified Coin Slab, or a raw coin. 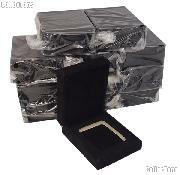 These boxes are solidly constructed from steel or wood and wrapped in blue velvet or black leatherette.